The 2014-15 school year will be important for Common Core as the standards are fully implemented in many remaining states of the 43 (and the District of Columbia) that have embraced their adoption. CCSS has its advocates as well as its critics, and the debate on its merits has become more pronounced in recent months. Irrespective of the political differences with Common Core, its concepts are critical for students because the standards help with understanding the foundational principles of how math works. This guide steers clear of most of the controversy surrounding CCSS and primarily focuses upon the math your thirdgrader will encounter. A stated objective of Common Core is to standardize academic guidelines nationwide. In other words, what third-graders are learning in math in one state should be the same as what students of the same age are learning in another state. The curricula may vary between these two states, but the general concepts behind them are similar. This approach is intended to replace wildly differing guidelines among different states, thus eliminating (in theory) inconsistent test scores and other metrics that gauge student success. An increased focus on math would seem to include a wider variety of topics and concepts being taught at every grade level, including third grade. However, CCSS actually calls for fewer topics at each grade level. The Common Core approach (which is clearly influenced by so-called “Singapore Math”—an educational initiative that promotes mastery instead of memorization) goes against many state standards, which mandate a “mile-wide, inch-deep” curriculum in which children are being taught so much in a relatively short span of time that they aren’t effectively becoming proficient in the concepts they truly need to succeed at the next level. Hence, CCSS works to establish an incredibly thorough foundation not only for the math concepts in future grades, but also toward practical application for a lifetime. 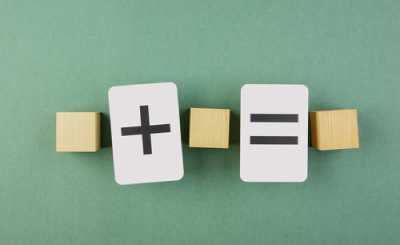 For third grade, Common Core’s focus places a tremendous emphasis on introductory multiplication. Fractions also make their first appearance, and two-dimensional shapes receive plenty of attention. Ultimately, this focus will enable children to develop rigor in real-life situations by developing a base of conceptual understanding and procedural fluency. Students will develop fluency multiplying single-digit numbers. Strategies used include repeated addition (e.g., 4x3 is the same as 4+4+4), analyzing equal-sized groups, arrays, and area models, to arrive at a product. Students also will eventually learn the relationship between multiplication and division (though the really big Common Core push on division won’t occur until fourth grade). Fractions are another concept students will use for years to come. The idea of unit fractions (in which the numerator is 1, such as in ½) is introduced first. Visual models will be used to demonstrate that fractions are part of a whole. 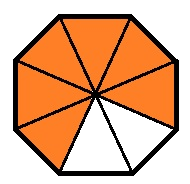 Adding and subtracting fractions won’t come until later grades, but students will be taught to visually compare fractions (for example, four friends dividing a pizza into four parts means each gets 1/4 of the pie; if they decided to divide into eight, each would get two slices; from this students see that 1/4 is greater than 1/8). 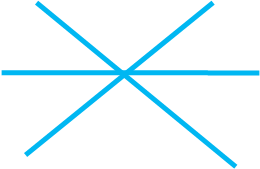 Tied into multiplication is the concept of area— especially in the sense that the space covered by a square or rectangle is width times length. At first, students will compute area simply by counting unit squares. Eventually, Tthe rectangular arrays used to help with multiplication come into play (e.g., an array of 2 rows and 4 columns equals 8 units). Students will continue to identify and define two-dimensional shapes by sides and angles. Furthermore, the fraction concepts introduced in third-grade will be tied into geometry—many of the visual models used will involve circles, triangles, and rectangles divided into equal parts. From the four critical areas of focus discussed in the previous section, Common Core also further clarifies the skills third-graders should know by the end of the school year. For example, the fluency requirements at this level are single-digit products and quotients (i.e., basic multiplication and division, with times tables committed to memory by the end of the year) and adding and subtracting within 1,000. The five topics presented here, taken directly from CCSS itself, 2 include some specifics on what kids will be taught in Grade 3. Understand the properties of multiplication and the relationship between multiplication and division. The concept that 7 × 3 is the same as 3 × 7 will be emphasized. Also, the complementary relationship between multiplication and division will be introduced—for example, if 7 × 3=21, then 21 ÷ 3 =7 . Multiply and divide numbers within 100. By the end of third grade, students will be expected to know by memory all single-digit multiplication operations (i.e., times tables), which in turn will provide fluency in division with these basic equations (in other words, easy division without remainders). 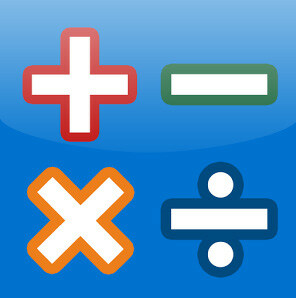 Solve problems involving the four operations, and identify and explain patterns in arithmetic. Students will solve two-step word problems using the four basic operations (addition, subtraction, multiplication, and division) as well as by estimation strategies such as rounding. They will also identify and apply patterns within the math (for example, an odd number times an odd number will always produce an odd number). Use place value understanding and properties of operations to perform multi-digit arithmetic. Students will strive toward fluently adding or subtracting numbers within a 1,000. They will master rounding numbers to the nearest 10 or 100, and they will also learn to multiply one-digit numbers by multiples of 10 but less than 100 (e.g., 6 × 40). Students will understand the fraction 1/b as one part of a whole that is partitioned into b equal parts. They will learn how to represent a fraction as part of a number line (between 0 and 1). They will learn about equivalent fractions and be able to recognize simple equivalencies (e.g., 1/2 is the same a 2/4 and 5/10). They will be able to compare fractions with the same numerator or denominator and determine which is larger or smaller. Solve problems involving measurement and estimation. Students will learn to tell time to the minute, as well as solve basic addition and subtraction word problems involving time. Estimating The concept of volume and mass is introducedexplained, and third-graders will be taught to solve one-step word problems with volumes or mass involving the same unit (for example, one cup holds 8 ounces of juice and another holds 6 ounces; how much total juice is there?). Represent and interpret data. Thirdgraders will draw scaled picture graphs to represent data (for example, a graph in which one square equals three of an object), and they will solve one- or twostep “how many more?” and “how many less?” word problems. Also, they will use rulers to gather measurement data to within a quarter-inch and represent the results on a line plot. Geometric measurement: Understand concepts of area and relate to multiplication and addition. The idea of a “square unit” is introduced to better explain and work with area. Students will learn how to measure area by counting the square units and by using addition and multiplying. The additive nature of area will be introduced—students will be taught how to compute area of rectilinear shapes by breaking them down into rectangles first. Geometric measurement: Perimeter. As a continuation of their understanding of area, Sstudents are introduced to the concept of perimeter. They will learn how perimeter differs from area (for example, the perimeter of a fenced yard is how much fence is needed, while the area is how much grass is growing within) and will will solve equations and word problems involving the perimeter of polygons. Reason with shapes and their attributes. Different categories of shapes (e.g., quadrilaterals) will be explained, and students will classify shapes according to sides, angles, and so on. Coinciding with the introduction to fractions, thirdgraders will partition shapes into parts with equal areas. Common Core aims to improve educational performance and standardize what students should learn at every grade in preparation for a lifetime of application, but it does not set curricula, nor does it direct how teachers should teach. As with any educational reform, some teachers, schools, and school districts will struggle with CCSS, some will seamlessly adapt, and some will thrive. As a parent, your responsibility is to monitor what your third-grader is learning, discover what is working or isn’t working for your child, and to communicate with his or her teacher—and to accept that your children’s math instruction does differ from what you learned when you were younger, or even what they might have learned last year. The transition can be a little daunting for parent and student alike, but that’s not a product of the standard itself. Common Core simply takes a new, more pointed approach to improving the quality of math instruction in this country. Finally, CCSS links standards from grade to grade so that the skills learned at one level translate into the tools they need to learn at the next level. This coherence would seem an obvious educational approach, but often, there is no link—students are taught a skill in third grade that might not be used (and might have to be retaught) until fifth. Each new concept in Common Core is an extension of a previous, already learned concept. In addition to the grade-specific standards it sets forth, Common Core also emphasizes eight “Standards of Mathematical Practice” that teachers at all levels are encouraged to develop in their students.3 These eight practices, designed to improve student performance, are described here, with added information on how they apply to third-graders. Make sense of problems and persevere in solving them Students explain the problem to themselves and determine ways they can reach a solution. Then, they work at the problem until it’s solved. For example, multiplication is brand new to third-graders, so word problems involving the concept may be particularly challenging for students more conditioned to addition and subtraction problems. This CCSS math practice encourages them to take their time to read and try understanding the problem, emphasizing that the process is ultimately important even if it doesn’t result in a correct answer. Third-graders will also be encouraged to use pictures or objects to better visualize the problem and solution. Reason abstractly and quantitatively Students decontextualize and contextualize problems. By decontextualizing, they break down the problem into anything other than the standard operation. By contextualizing, they apply math into problems that seemingly have none. For example, if a third-grade word problem involves bananas in bunches of 10, students who are decontextualizing may represent each bunch by drawing one banana. Kids this age who are contextualizing may organize bananas into bunches in a word problem that doesn’t otherwise use such terminology. Construct viable arguments and critique the reasoning of others Students use their acquired math knowledge and previous results to explain or critique their work or the work of others. With multiplication being so new, third-graders must become particularly adept at talking about how they arrived at an answer with their newly acquired skills. Besides boosting their confidence, the ability to explain the math will increase their ability to excel at it. Model with mathematics This is just like it sounds: Students use math to solve real-world problems. Third-graders can be challenged to take the math skills they have learned into their own lives. For example, student who eats three string cheeses a day can use multiplication to figure out how many he eats during a week or a month. Use appropriate tools strategically Another self-explanatory practice: Students learn and determine which tools are best for the math problem at hand. 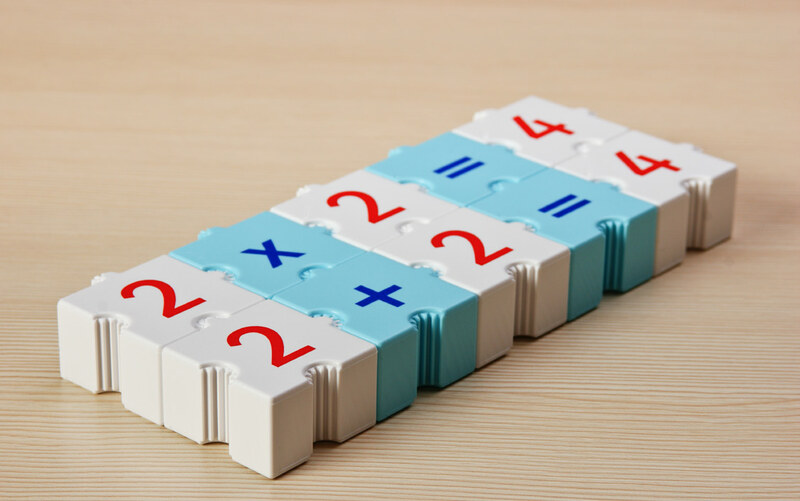 For third-graders, the introduction of multiplication offers a pertinent example of this practice: The new concept gives students another option when solving a problem. Take the equation 3 × 7—third-graders can either add 7 + 7 + 7 to get the answer, or they can use their new skills to multiply 3 by 7 and arrive at the same result. Attend to precision Students strive to be exact and meticulous—period. The emphasis on committing times tables to memory demonstrates how precision is so essential to multiplication; not knowing the answer to 4 × 6 now will lead to trouble when trying to solve 14 × 36 in the future. Furthermore, if a student can’t come up with the right answer on a more complex problem, he should be taking steps to figure out how or should ask for help. Look for and make use of structure Students will look for patterns and structures within math and apply these discoveries to subsequent problems. For example, third-graders might understand that multiplying even numbers together will produce an even number, and then use that knowledge to help solve future equations. Look for and express regularity in repeated reasoning Students come to realizations—“aha” moments is a good term for these realizations—about the math operations that they are performing and use this knowledge in subsequent problems. For example, a third-grader may realize that 2 multiplied by any number is simply that number added to itself, and then use addition strategies to get to the correct answer. A basic tenet of Common Core is to apply math principles to real-world situations. Why not start now? Give your child math problems when you are out and about—the store, in traffic, the park, and so on. For example, if you are at a basketball game and your child’s favorite player scores 6 points in the first quarter, ask her how many points the player might finish the game with based on that initial statistic. If your third-grader is struggling with the new math standards, talk with his or her teacher first. You then might want to seek outside resources to help your child. Several online resources provide math help, including worksheets and sample tests that conform to Common Core standards. Tutoring might be an option you consider as well. Innovative iPadbased math programs have emerged that combine the personalized approach of a tutor with today’s technology. This revolutionary approach also may feature a curriculum based on Common Core, thus ensuring your child’s learning at home is aligned with what he or she is learning at school. The store ordered 4 boxes of styli. There were 8 styli in each box. Which image shows the total styli that the store ordered? Ken gets 8 points and 3 stars for every Mario game he wins. If he wins 8 Mario games, how many total points would he have? Write the equivalent expression for the statement. How many sets of 5 are in 30? Find the missing numbers in the sequence. The table shows the relation between the meters of cloth used for stitching shirts. Which of the following describes the pattern between the meters of cloth and the shirts? Select the equivalent equation for the given statement. Amber got 16 gifts for Christmas. Her brother got b fewer gifts than her. They got a total of 30 gifts. Estimate the same by rounding off both the numbers to the nearest tens. In a department store there are 83 glass bottles. 35 of those are damaged. The remaining glass bottles are divided equally into 4 cartons. Find the number of glass bottles in each carton. 173 domestic flights and 163 international flights land at airport A. 145 domestic flights and 133 international flights land at airport B. How many total international flights land at these two airports? Estimate the product by rounding the first factor to the nearest tens. The estimated number of cookies sold by a baker in a month is 660. Select all numbers that could be the actual number of cookies sold. The County Swimming program enrolled 297 kids of different ages last summer. This year, the program has 73 fewer kids. How many kids are enrolled in the program this year? Enter the fraction that represents the shaded part. What fraction does the point ‘b’ correspond to on the number line? Mrs. Peterson cut a cake into 10 equal parts. 9 out of those were eaten and she put the remaining in a box. What fraction of the cake did she put in the box? What fraction does the point ‘a’ correspond to on the number line? What fraction of the given image is colored brown? The fraction 2/6 on the 2nd number line maps to which fraction on the 1st number line? If the two fractions represented by the images are equivalent, what is the missing numerator? Justin divides a bottle of juice equally into 3 equal cups. How many bottles of juice would he need to get 9 such cups ready? Alex served 3/6 of a pizza and Andrew served 5/6 of a similar pizza. Who served lesser quantity of pizza? Who ran more around the park? Ric ran 8/4 rounds around a park. His brother Rob ran 2 rounds around the park. A string is 576 m long. 98 m was used for a project. How much string is left? What is 30 minutes after 07:56 am? Select the smallest, by weight. Amber’s bookshelf is 6 ft. long and 3 ft. wide. The closet is 5 ft. long and 4 ft. wide. Which is bigger? What is the area of this figure in sq cm? Roni’s room is 9 feet long and 8 feet wide. How many square feet of carpet does she need to cover the floor? In a survey, kids were asked their favorite online game. The data collected is given below. 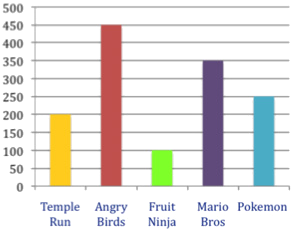 How many total kids chose Angry Birds, Temple Run and Fruit Ninja as their favorite games? A car dealer sold different colored cars in December and the details are given below. How many total green, yellow and blue cars did he sell in December? Select what is true about the shape given below. 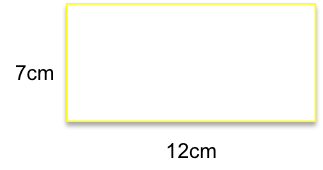 Enter the fraction that represents the yellow shaded part. How many pairs of parallel lines does the parallelogram have? How many pairs of intersecting lines does the rhombus have? Carla built a fence for her dog’s play area. The fence is 10 feet long and 3 feet wide. How many feet of fencing did Carla use? Sally’s garden is a perfect square. 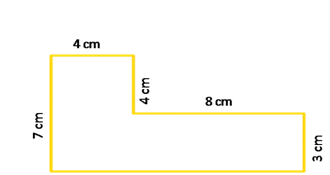 Each side measures 8 feet. What is the perimeter of her garden?